To celebrate the 5th Anniversary of the 3DGuy.tv they are hosting an contest/giveaway for people that are fans of stereoscopic 3D technology and thus giving you a chance to win some cool 3D prizes such as a NEO3DO Autostereoscopic 3D Tablet, a 3D camcorder, some coll 3D Blu-Ray movies and others. 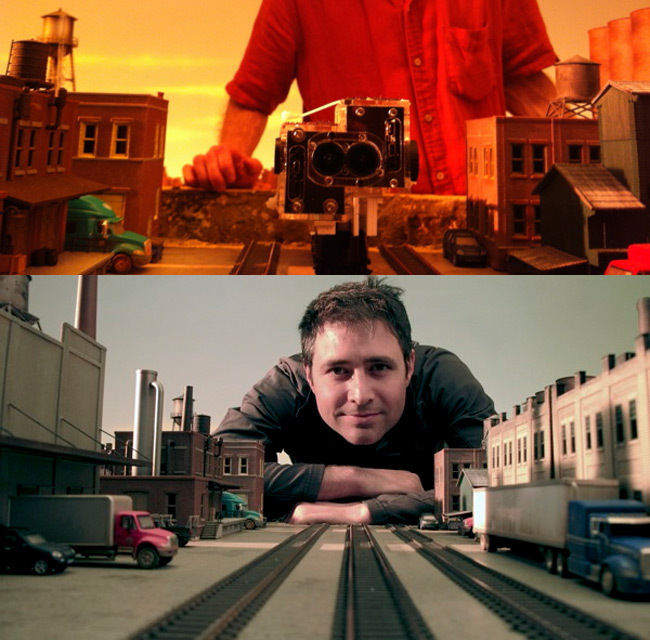 The contest is open to everyone, regardless of the location and in order to participate you need to be a 3DGuy Youtube Channel Subscriber and submit a minimum 10-second (maximum of 1 min) video or photo of yourself (you can also have your family, friends, pets, neighbors, everyone in the video!). Do it in front of a 3DTV or with 3D tablets, 3D mobile phones, wearing 3D glasses, holding 3D blurays or in front of a 3D theater. It’s all about you and anything 3D. Don’t miss to say, “I LOVE 3D! 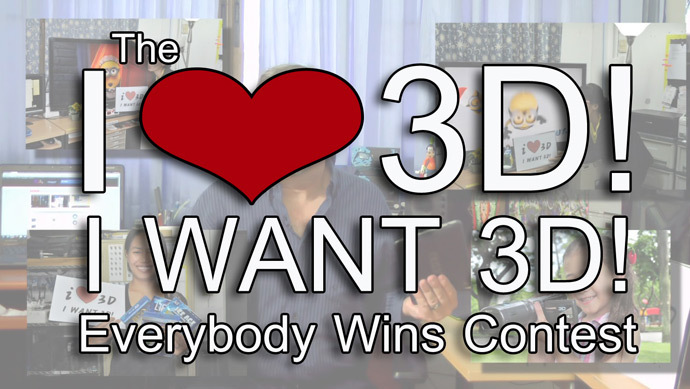 or I WANT 3D!” in your video and don’t forget to make a sign that says “I LOVE 3D!” or “I WANT 3D!”,too! You can use any capturing device that you have. It can be a 3D video or just a regular 2D video from a webcam, from your phone… it is up to you and you can submit up to 3 entries. Contest period is from September 1 to 30, 2013. Announcement of Winners will be on October 7, 2013. – For more information about the I Love 3D! I Want 3D! Everybody Wins Contest! The compact and powerful GoPro cameras that started as action sports oriented products are now also starting to find their place in video and movie production mostly thanks to their good image quality, rich feature set and affordable price especially compared to expensive movie cameras and other professional equipment usually used in movie productions. The high resolution, high framerate and high bitrate that the compact GoPro Hero 3 cameras offer is making them an interesting solution to work with and even modify to further improve the quality or useability. Not only end users, but also professionals are hacking their GoPro cameras in order to use them for some specific project such as the Novo Digital Cinema Camera that is based around GoPro Hero 3: Black Edition. But things are happening not only for the use of these small action cameras for shooting in 2D, but in stereo 3D as well. If you were following the development of the GoPro cameras there was an official GoPro 3D Hero accessory for using two GoPro Hero 2 cameras to shoot 3D video, but after the release of the new more compact and powerful Hero 3 cameras that accessory no longer worked and there is still no new version being released. This, along with 3D printing becoming more widely spread and accessible has helped many users to thinker with their GoPro Hero 3 cameras rebuilding them and making them into something new or improving them to be able to shoot in 3D. Here is an interesting recent example of two GoPro Hero 3 cameras getting hacked into a more compact stereo 3D camera with a smaller interaxial distance for a project that required shooting miniatures in stereo 3D. This project has been realized by Anthony Shafer who is a stereoscopic 3D professional, and while there are not to many details about the process of rebuilding the cameras, there are some interesting pictures of the process including the actual shooting of stereo 3D footage that you might find interesting to take a look at. 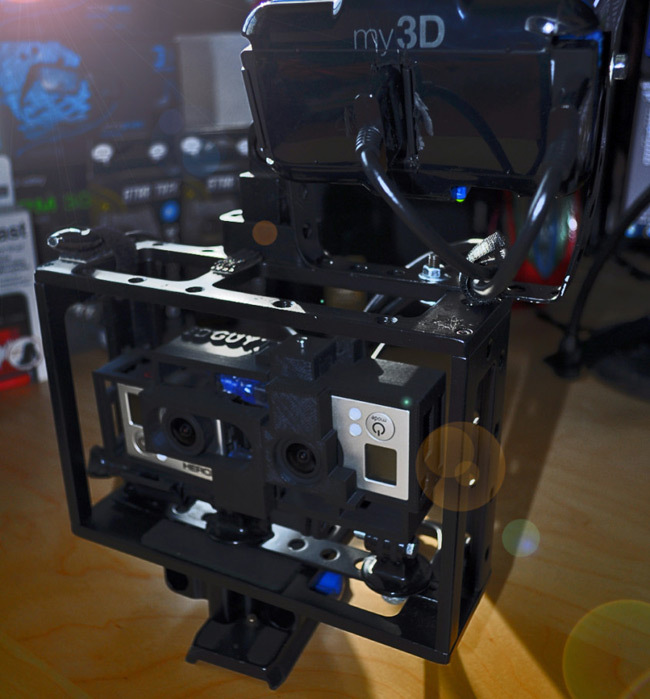 The other fresh example of using GoPro Hero 3 action cameras in order to make them shoot in stereo 3D comes from Al “3DGuy” Caudullo, another stereoscopic 3D professional, who has managed to build multiple custom 3D camera rigs for using two GoPro Hero 3 cameras to shoot in 3D. This not only includes the enclosures, one with fixed interaxial of 32mm and another with variable interaxial between 38mm and 64mm, but also come with a custom sync solution in order to have the best possible solution (though it probably “syncs” the two cameras as the cable from the 3D Hero accessory does). The 3DGuy is apparently also working on a very compact beam splitter rig for Hero 3 cameras and the good thing is that if you are interested you can order any of the two other rigs, they are available for $250 and $350 USD respectively (without the shipping).